A two-year old boy suffering from dehydration was found wandering the streets of Modiin Illit. Police rescued a two-year old boy found wandering the streets of the predominantly haredi city of Modiin Illit in Samaria on Tuesday, a police spokesperson said. The child was found at approximately 2:00 p.m. and was suffering from severe exhaustion and dehydration. The temperature at the time was roughly 90 degrees Fahrenheit, and the child had apparently been left outside for an extended period of time. 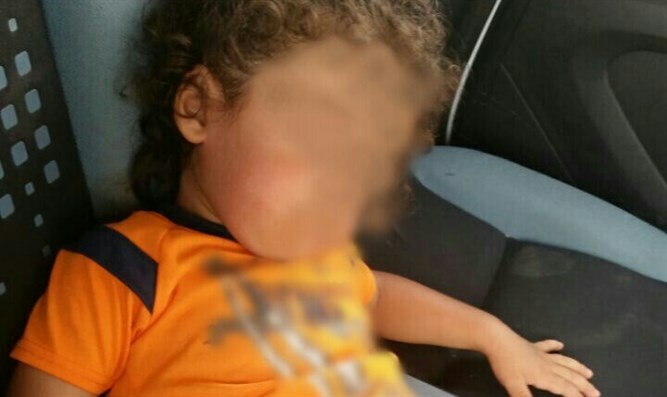 Officers photographed the child in the patrol car and forwarded his image to social workers who attempted to locate the boy’s parents. Police then took the child to recuperate in the police station until his identity was ascertained and his father located. When the child’s father was found several hours later, he was called in for questioning. Police are now examining whether he should be indicted on charges of criminal neglect.